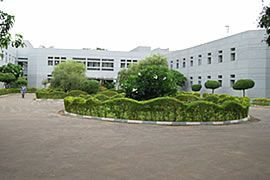 Pramukhswami Medical College is a college in Karmsad and this college is affiliated with Sardar Patel University and has good teaching and campus.. 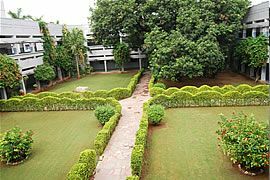 The College was started in 1987 and is affiliated to the Sardar Patel University, Vallabh Vidyanagar. It has been accorded recognition by the Medical Council of India. The College has state-of-the art research and development facilities, a Library and other infrastructure support systems. The musea attached to the college’s departments particularly of Anatomy, Preventive and Social Medicine, Pathology and Pharmacology have rich collections and are rated the best in the State. The College places particular emphasis on community medicine. The hospital is the referral hospital for Tribhuvandas Foundation, the largest non-government organization in Asia, working in the field of maternal and infant care in over 600 villages of the district. Its Department of Preventive & Social Medicine HAS successfully implemented a number of health care programmes in the villages of Anand and Kheda districts.